How long does it take to install window tint? The typical standard time for an installation is about 1.5 hours. Most appointments are booked in 2 hour time slots. If you are installing a windshield clear film, it will take an additional hour. If tint removal is needed, the appointment is greatly extended and we recommend arranging to drop off the vehicle. It can take up to 5 hours to remove old window film. What types of shades/darkness are available? 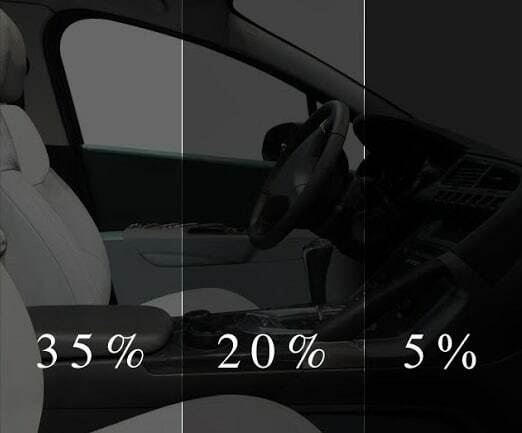 Standard shades are as follows: 35%/20%/5%. The typical configuration for a sedan is 35% 2-Fronts / 20% Rears. In Texas, the shade level of the two front windows are regulated and the shade cannot be darker than 25%, the rear windows are not regulated. We always install a 35% tint film on the fronts to ensure compliance with the law (window glass itself naturally has shading, so when 35% is installed, usually your overall reading is around 30%, just above the legal limit). While you may install whatever configuration you wish, we typically recommend against using Limo tint or 5% on the rears, as it is difficult to see out of at night. Yes, we have a waiting area with comfortable seating, air conditioning, WiFi, TV and a restroom. What type of warranty is included? All of our films come standard with a lifetime manufacturer’s warranty. This warranty protects against fading, chipping, cracking, peeling or any manufacturer related defect. While you will generally know if the film installed will adhere properly within 7 days, we also offer a 6-month labor for any installation defects. Yes, we do require an appointment for all installations. We unfortunately do not accept walk-ins and only handle quotes and scheduling via phone. Yes we typically offer Saturday appointments, and sometimes extend the schedule into Sunday. We prefer to schedule installations during the weekdays if at all possible and do not guaranty we will have time slots available every weekend. Copyright © 2018. 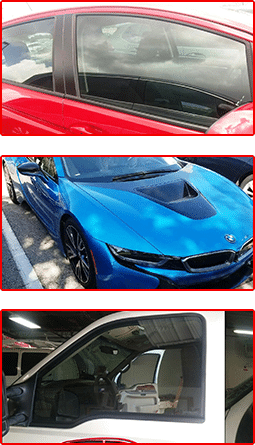 Auto Tinting Austin LLC.